Top level domain is the rightmost part of a domain name. For example, com, edu, net, org, gov, mil, int are some of the most commonly used top level domains. Who assigns these top level domains? Top level domains are assigned by the "Internet Corporation for Assigned Names and Numbers" (ICANN). It is a non-profit corporation formed to assume responsibility for the IP address space allocation, protocol parameter assignment, domain name system management, and root server system management. Previously this task was assigned to IANA (Internet assigned number authority). 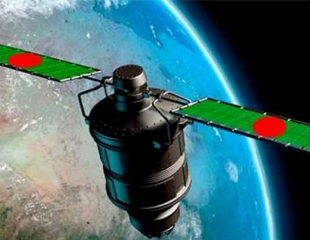 Who controls the .bd domain? 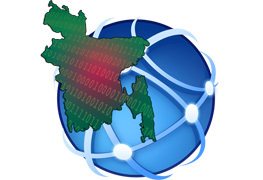 Ministry of Post and Telecommunications, Government of the People’s Republic of Bangladesh, is the sponsoring organisation of .bd ccTLD. 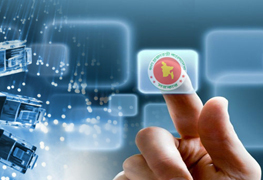 Bangladesh Telecommunications Company ltd (BTCL) have been delegated to maintain the registration service. How can I register a domain under .bd? 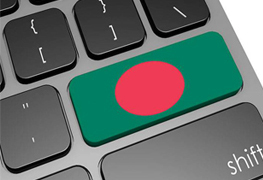 You can check and order your preffered domain from www.registry.com.bd website. Can I apply and pay online? It is verious by registrar and resellers. Can I register a domain directly under .bd? No, a domain directly under .bd is not allowed. For example "abc.bd" for a certain company "abc" is not allowed. But a domain of the form "abc.com.bd" or "abc.net.bd" is valid. What are the available .bd sub domains? Presently com.bd, co.bd, edu.bd, ac.bd, net.bd, gov.bd, info.bd, tv.bd, ws.bd, org.bd, mil.bd sub domains are available. But "gov" and "mil" sub domains are reserved for "Government" and “Defense" organizations respectively. Registration of domains under such domains should be initiated by appropriate authority. Is there any restriction in domain name selection? You can select any name other than generic terms, name of professions, services, products, sports etc. as a domain name. For example, "Doctor", "Lawyer", "Rice", "School" etc. are not acceptable. Any domain name offending our social practices, culture, religions, and respected personalities will not be accepted. Do I get a free IP with domain registration? No, providing IP is not relevant to domain registration service. What is the technical information that I must provide to activate the domain? To activate the domain name, you must provide the Names and IP addresses of Primary and Secondary Domain Name Server. Why I must provide the name of at least one name server and its IP? Domain names are held in a distributed database. Your "Domain Name Server" holds the name and IP address of all the machines in your domain. Whenever any machine in the internet tries to locate a machine in your domain, (that is under .bd domain), the request is first forwarded to .bd name server. The .bd name server then looks up the name of your domain's name server in its database. Then it responds mentioning the name of your "Domain Name Serve" as the ultimate authority to give that information. Your "Domain Name Server" is then queried about that machine and the IP address is obtained from it. What will happen if I do not provide technical information? In that case the domain name will be reserved for you but it will be inoperative. How can I check that the information I provided were entered properly? You can check whois data of your domain from our whois lookup page. How can I change the registered domain related information (DNS name, IP)? You need to open a support ticket at technical department of your registrar/reseller.